Situated south of the peninsula defining the Porto Rafti Bay. You can enjoy the short excursion, with swimming, along with an afternoon coffee at the nearby Kastro with a stunning view of the Porto Rafti Bay. Astir Glyfada is an organized beach, 14 km from downtown Athens, and occupies the best part of the small Glyfada peninsula. The beach is open 8:00 - 20:00 and offers several amenities, including changing rooms, lockers, sunbeds, umbrellas, and facilities for beach volley and beach soccer. Last July, we took a family drive through the coastal road from Athens to Cape Sounion through the area playfully called the Athens Riviera. We found little traffic to speak of and, 40' or so later, we reached Thymari, on the 56th km of the Athens-Sounion road. We stopped at Castus Beach Bar. Nice beach, a well-designed beach bar, respectful of the surroundings, courteous people, good service, fair prices, nice music at the right volume! A 72-acre private beach resort, situated on the 40th km of the Athens to Sounion highway, and boasting one of the most impressive views of the Saronic Gulf. A luxurious hotel, built by the sea, provides its guests with the ultimate experience, offering bars and restaurants, sports courts, and a multitude of entertainment options. 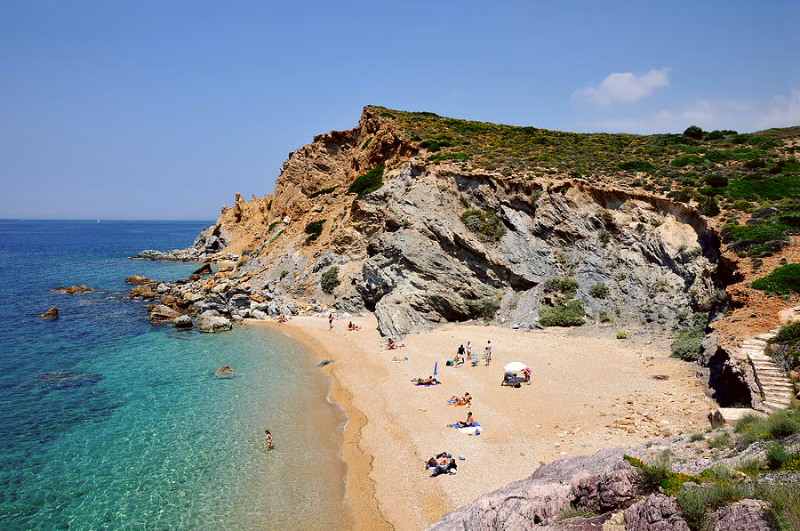 63 km on the Athens to Sounion highway, this is a public beach which offers free access and the freedom to enjoy the sea. 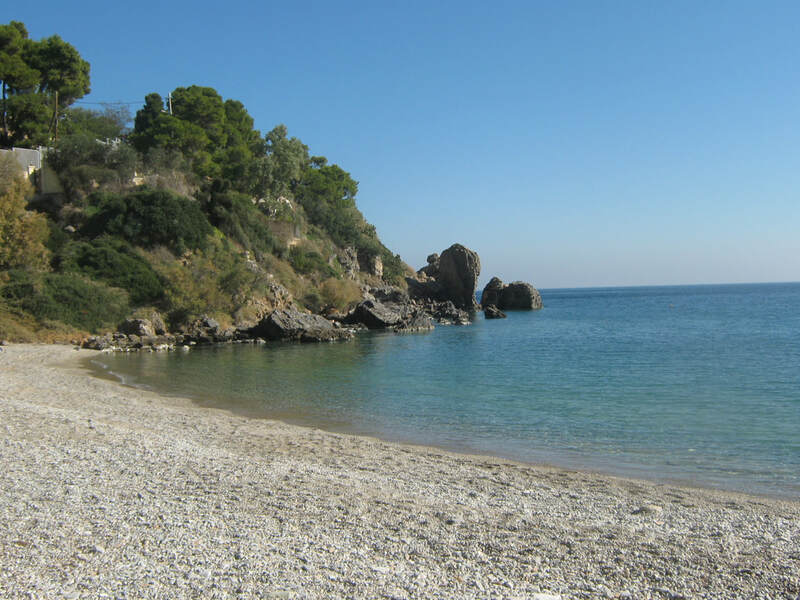 44 km from Athens, Erotospilia of Porto Rafti is an ideal free beach for the whole family! 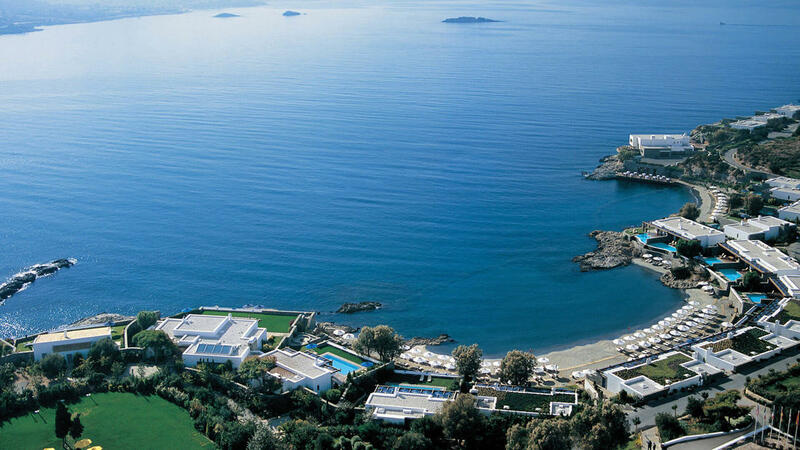 A bit longer away from Athens, Psatha is a beach 66 km away, that is becoming increasingly popular. 2.5 km of a sandy beach located under Mt. 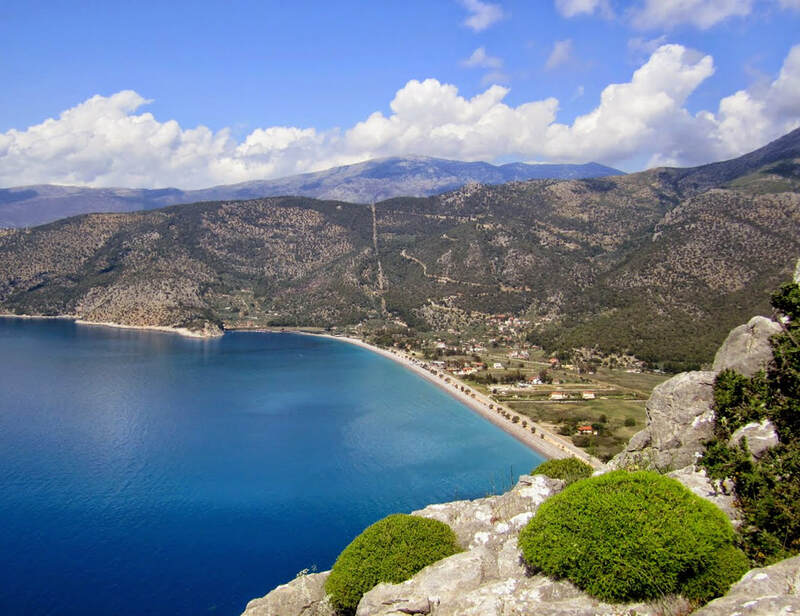 Pateras, offer a breathtaking view of the Gulf of Corinth. A variety of restaurants, tavernas and cafes cater to all your needs. Located 42 km north-northeast of Athens, and relatively close to the historic location of Marathon, Schinias offers a long sandy beach with several options of umbrellas, sunbeds, beach bars and restaurants for a snack of a complete seafood meal by the sea. This beach park is situated on the central beach of the seaside town of Varkiza, easily reached through the coastal highway of Athens to Sounion. Besides swimming, it offers several water sports, windsurf and water ski, cafes, beach bars, bars, restaurants, etc. An idyllic spot, located between the seaside resorts of Vouliagmeni and Varkiza, this impressive rock formation offers thermal spring waters, a maze of underwater tunnels, as well as a lush vegetation. An underwater cave with an undetermined length, of which only 3,123 have been explored, and a huge stalagmite which altered scientific perception as to the geological formation of the Mediterranean sea. A restaurant, a cafe, a playground and fitness facilities complete the amenities, which are open dawn to dusk, all year round. 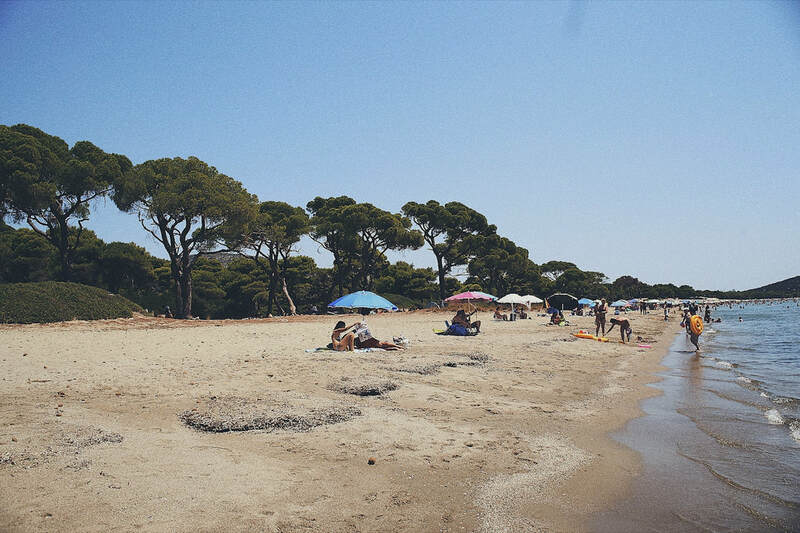 A pine-tree coastal settlement, located near the town of Nea Makri, offering several options of bot organized and free access to the coast and activities by the sea. Look for our discriminating selections of Swimwear and Beachwear for you to wear this coming Summer on the gorgeous Greek beaches. For both your indoor gym exercise but also for your outdoor sports activities, check out our selections on Activewear!